Age UK London have today announced a new partnership with Gas Safe Register, with both organisations looking to work together to promote vital gas safety information to elderly people. The collaboration will look to support good practice in a situation where lives and individuals' well-being could be put at risk as badly fitted and poorly serviced gas appliances can cause gas leaks, fires, explosions and carbon monoxide poisoning. 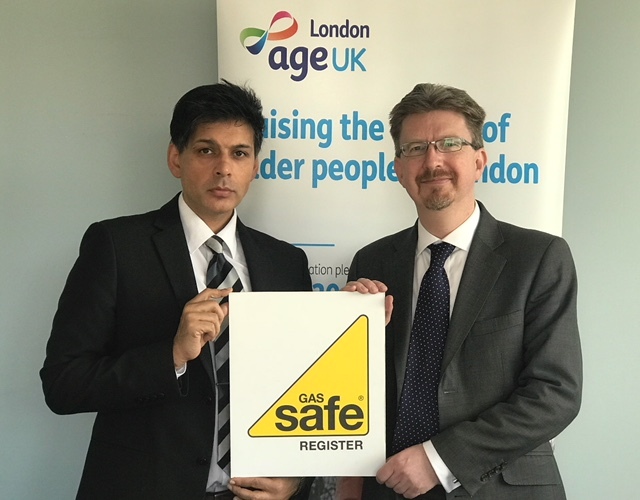 Paul Goulden of Age UK London said, "We are delighted to be working with the Gas Safe Register to help keep older people in London safe in their own homes. Through our communications Age UK London want to make sure older people know how to find a Gas Safe registered engineer that has the right qualifications to fit, fix and service their gas appliances, keeping them safe".